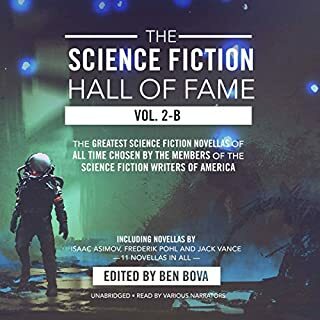 The third and final volume of the very best of Ben Bova, creator of the New York Times best-selling Grand Tour science fiction series, six-time Hugo award winner, and past president of the National Space Society - a grand master of science fiction storytelling. These stories span the five decades of Bova's incandescent career. 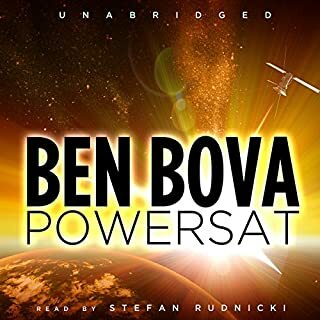 This grand epic adventure from six-time Hugo Award - winning author Ben Bova tells the irresistible story of man's first mission to that great unconquered frontier, Mars. Technically plausible and compellingly human, Bova's story explores the political, scientific, and social repercussions of our greatest quest yet: the search for evidence of life beyond Earth's boundaries. 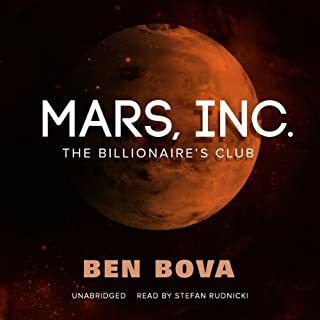 Listen to Ben Bova's complete Mars trilogy, including the second book, Return to Mars, and the third book, Mars Life. ©1992 Ben Bova (P)2008 Blackstone Audio, Inc. This is a solid science fiction title set in a slightly dated near future. Ben Bova has written an interesting story about the first human expedition to Mars that I found quite engaging and addictive. Some of the story elements are now dated (eg. Floppy disks, battlestar galactica approach) but nonetheless the story holds up as realistic and for me, at least, exciting. I had previously read the title in hardcopy prior to 'reading' it on audible and I think I appreciated it more evenly - throughout the entire book - the second time around. I attribute that to the format - you can not easily scan or skip ahead in an audiobook - but also to the narration of Stefan Rudnicki who kept it interesting. Stefan manages to deal with the many accents passably or at least better than I could. This tale unfolds slowly, but it's engaging and well-told. Clearly intended as part of a series - which I don't often care for - it nonetheless manages to stand on its own. The characters are carefully unfolded and come to life under Rudnicki's outstanding narration. (I don't think they come better than Rudnicki.) Bova doesn't follow the usual formula leading to an ending where everything blows up. If fast-paced, hard-hitting action is what you're looking for - and there's certainly a place for that - you likely won't like this one. If a well-told, good story is your interest, this won't let you down. I will read this next one. I am pleasantly surprised as to the entertainment that Mars has given me. It does seem to be a bit heavy on politics and not enough 'Tars Tarkas.' But what I really enjoyed was the quality of the reader. Stefan Rudnicki did an excellent job in his reading. He was the right voice for this Book. I am looking forward to listening to more about this venture and other audiobooks by Stefan. A bit slow. Ending was very poor. The book was a good listen. The narrator did a good job. As someone said in a previous review it was dated but not for the techology only but for the attitudes. Try to keep that sand outside of the capsule, OK? Definitely. The performance by Stefan is outstanding ( as always ) and the characters are drawn well, with enough nuance, and complexity, to be real enough that the reader cares about them, however they feel about them. In general, enough complexity in subject matter, with action and mystery, to attract, and retain, attention. 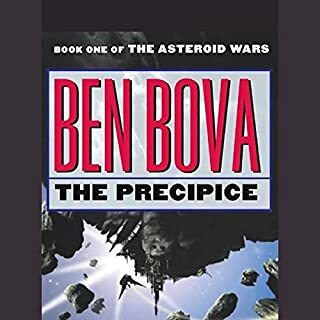 Would you be willing to try another book from Ben Bova? Why or why not? Yes. I am a fan, and will wade through most of them, eventually. Nuanced, intelligent activation of the characters, as written. Stefan seems to have a unique relationship with Bova's stye and pacing, and the 2 of them are a powerful team. Did Mars inspire you to do anything? Yes! I recently had a telescope repaired by a friend, and I dragged it out to the back deck ( in Ballard, Seattle, WA ) and checked out the Red Planet. Could see Phobos clearly! A grand component, with flaws of course, to the Solar System series. Well worth the effort. 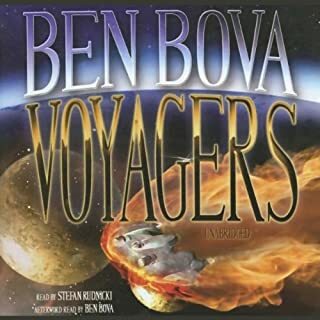 I have been reading Ben Bova books for years and have most all of his audible books here. Mars is one of his best stories and Stefan Rudnicki is very good in his delivery. However, I don’t understand why Egypt and Argentina are represented as significant space powers here in the book. The one quandary is after all these years I have come to the conclusion Ben doesn’t like a great number of things. He doesn’t like the news media, politicians, government or people with power. His representation of the news media is negative as are the people in government and politics. They are usually the protagonists. People in his books are constantly planning silly and selfish subterfuge and act very impulsively like children do sometimes. Come on Ben, Dan Brown has that style mastered. The story is good enough to out weight all of this though. Listen to it and just enjoy it. 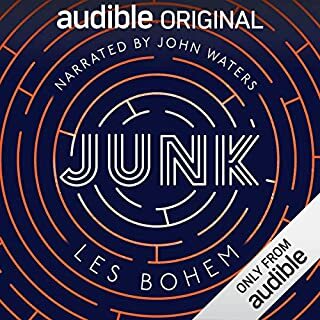 Listening to the 1st in this series got me hooked and wanting to find out more. Our Navajo hero is at times predictable and hormone centric but the premise was good and the story interesting. Ben bova does a good job entertaining the reader and listener with story. I found the racial intolerance a bit exagerated and the profanity totally unnecessary. I know people use this type of language in real life but this is not about real life. Otherwise it is a very good listen. The science was good and the little insights into how the media works and the native american folklore was worthwhile. I enjoyed the three books, I like the Idea that a native American is the driving force to mars, Red man Red planet etc. I only gave it a 4 star because I think there's another book needed for the ending. But on that point I will read his other books as I like his style. decided to take a look at what he had to offer that might appeal. wonder engendered by books that focus on other planets in our solar system. undertones to it I thought. forgiven for his errors in that regard. a little poor was his incredibly clichéd characterization of an Englishman. the time in London and women wore long dresses! the portrayal of this character was indeed shockingly clichéd. In addition, this character was snug, arrogant and clearly self-absorbed which given the degrees of psychological testing apparently done to each Mars mission candidate, begs the question as to how someone so flawed could ever be allowed to be a member of such a vital mission. way characters referred to the native American protagonist, Jamie Waterman. still used in this novel by the various characters. on Mars and in orbit and the Earth element was just a distraction to me. little further on in the series which I very much look forward to reading. planet within my lifetime as this would be such a thrill. What made the experience of listening to Mars the most enjoyable? The escapism and realism of the story was totally engaging. Imagining a real world incredible journey was deeply satisfying. I was saddened by the missed opportunities that this book highlights. Stefan's performance was well done but it needed some post production as his voice is so deep and rattling that I found it actually painful to listen to at any volume, maybe bring him up an octave or compress the range a little? Strangely the parts that had been re-recorded were very obvious because they were at a much more compressed and comfortable level. The story shows it's age in a few places with technology in particular which makes it all the more remarkable that it imagines something that is still very much in the future despite being based on technology that existed 20 years ago. 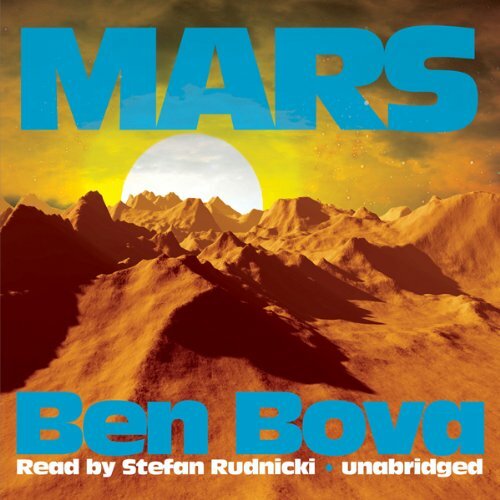 One of the best of Ben Bovas books, Mars is very much a classic of the sci fi genre. Also the narrator is very well suited to the story. If you could sum up Mars in three words, what would they be? Not a scene but relationships of characters within series. The three books can be re listened to, discovering new aspects to the story. story flowed easily. character development was defined. story line kept me hooked. can't wait to read next one.